2017 repress. New lower pricing. Gatefold double LP version. 140-gram vinyl. 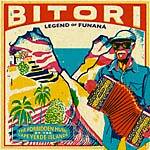 "Latin music, is it really foreign to us Africans? I don't think so. Listen to the drums, to the rhythm. It all seems very close to us -- it feels like it's our own culture" --Amara Touré. In late-'50s Dakar, Senegal, producer Ibra Kassé and his Miami nightclub spearheaded a movement blending the Cuban styles of son montuno and patchanga with local folk traditions. Through the unique cultural fusion of West African and Caribbean influences, Latin music took on a new and unique sound, brought a breath of fresh air into Dakar's nightlife, and attracted numerous musicians from surrounding countries. 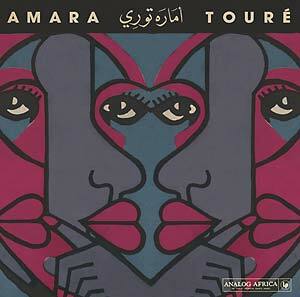 One of the musicians who answered this call was percussionist and singer Amara Touré, from Guinea-Conakry. In 1958, Kassé invited Touré to join Le Star Band de Dakar, led by Mady Konaté, a group that was immensely important for the development of Senegalese modern music. Touré's talent on percussion was undeniable, but it was his raw, powerful voice and his interpretations of Cuban music that captivated the producer. In 1968, after ten years with the Star Band, Touré headed to Cameroon and formed the Black and White ensemble, with which he performed live through the late '60s and early '70s and released three singles between 1973 and 1976. These singles, included as the first six songs on this compilation, fully epitomize and distill the essence of what Touré had learned during his career. His Mandingue roots fused with the Senegalese sound that he had mastered -- the perfect foundation for his Cuban interpretations. In 1980 Touré went to Libreville, Gabon, to team up with the powerful Orchestre Massako, with which he recorded Accompagné Par L'Orchestre Massako. 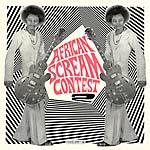 This LP has since gained a reputation as one of the very best African albums, and its complete contents are included here as the compilation's last four tracks. 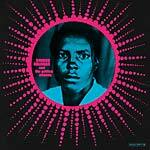 These ten treasures, representing Touré's complete discography, have been carefully remastered from original session tapes and vinyl records, and are reissued here for the first time. After the release of his LP in 1980, Touré seems to have disappeared. Apparently he was last seen in Cameroon but his whereabouts are unknown at the time of this release. His music, however, is undeniably alive.